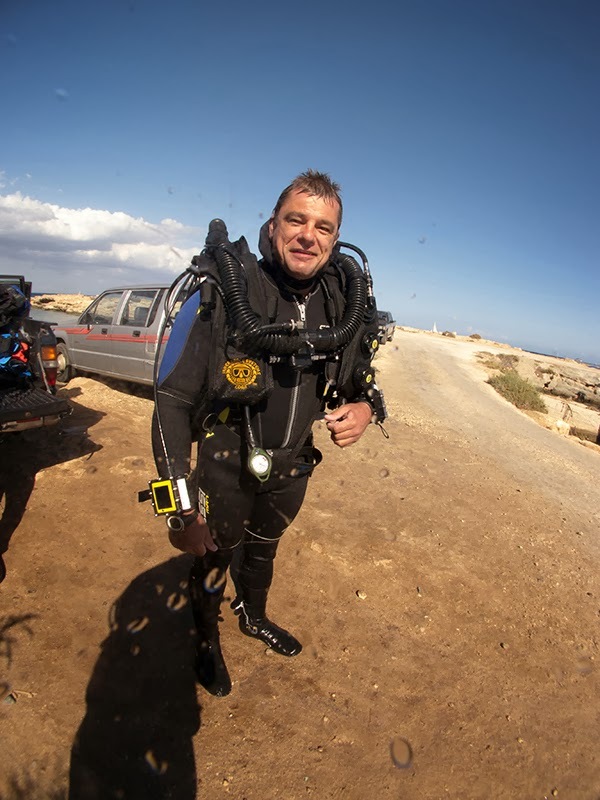 Earlier this month I was extremely lucky to get a call offering me the chance to have a dive on ISC's new Pathfinder Rebreather here in Cyprus and, as a Megalodon Rebreather Diver and Instructor, I was keen to give it a go! These are the points of interest for anyone considering this as their rebreather unit of choice or investing in a second CCR. The Pathfinder is made by the same company that makes the Megalodon rebreather, Innerspace Systems Corp (ISC). As such, it undergoes the same rigorous 3rd party testing as the Meg giving you the assurance of its build quality, durability and reliability. Let's face it, when you put your faith in a machine, you want one with the reputation these units have. Seeing the Pathfinder, you can see the quality of the unit and all in miniature too. Standing just 16 inches tall, the Pathfinder is around 10kgs lighter than the Megalodon making it a perfect rebreather for the smaller CCR diver or those who travel a lot. Divers can still use the Loop and Lungs from the Megalodon unit and there are still 2 independently run sets of electronics. However, the system used in the Pathfinder is completely modular with a "plug and play" design and on top of the head, you will find 3 connectors that are for attaching a primary handset, a back up handset and a heads up display. You can even get a shearwater dive computer that you can plug into these connections, meaning you can have your decompression information synched up to the correct breathing gas in real time. The ease with which you can connect and disconnect the modular parts makes the Pathfinder ideal for travelling and/or troubleshooting. You won't have to send the entire head back for repair or service, just the part required. Removal of the head itself has also been made easier on the Pathfinder with a simplified locking system. Put the head on and twist to lock down using the markings on the side of the can. To remove, twist to unlock and use the handy new handle to lift clear. So, do all these changes make for a good diving experience on the Pathfinder? In the words of Winston the Churchill dog... "Oh yes!!!" The unit is light both in and out of the water, almost like being back on a single tank (God Forbid!). It was suprisingly streamlined and trims out beautifully. As a 5ft 6 guy myself, it is great for those of a smaller stature. I can definitely see the benefits for those who want to travel with their own rebreathers, particularly with the baggage restrictions in place on the majority of airlines. The plug and play design makes it a bit easier to protect the electronics in transit also. If you are thinking to dive deep on the Pathfinder, it is worth pointing out that the factory depth limit for this unit is 60m. This is due to the smaller scrubber that is used and the limitations that incurs. For deeper diving, the Megalodon is still the preferred rebreather to dive. This past week, we have had an inordinate amount of children coming through the doors of our Dive Centre wanting to try Scuba Diving. Generally speaking we do not push for the little ones to come diving with us but occasionally, one of the adult diver's children wants to try or the Diver wants the child to see what the underwater world is like and this is how we come by our BUBBLEMAKERS! 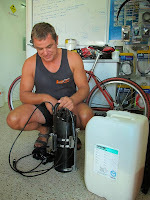 A bubble maker is a program from PADI, designed to allow children as young as 8 years old to experience Scuba Diving in a Controlled Environment. So...what does a Bubble Maker program involve? Basically, having completed the apprpriate paperwork, the instructor (or Assistant Instructor) will give the child a quick briefing as to the equipment they will use, how to equalise the air spaces in the body; such as ears and sinuses, mask and lungs and how to clear a mask and regulator. Once this is complete, the little bubble is then taken to confined water and taken for a scuba dive. When we refer to confined water, we mean a swimming pool or an open water site that has pool like conditions relative to clarity, calmness and depth. The maximum depth that a bubble can go to is 2metres. 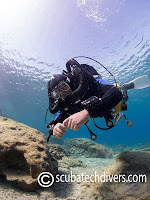 For this reason, when the weather is perfect, we can take bubble makers to a couple of different local dive sites here in Cyprus, with the main one being Green Bay but they remain at all times in the shallows and, although the standards suggest that one instructor can take 4 bubblemakers, we at Scuba Tech Diving Centre will only take the children in on a one to one basis. This means that any child that dives with us here will have their own instructor with them at all times. The reason for this is simple. Children of 8 years to teenage years all progress at a different rate and quite often the younger children do not understand the concepts of scuba diving but will pretend they do to try and please an adult. We have an instructor with each child to ensure they are always breathing, equalising the ears and, if they get scared at any time they will be at the surface in 0 seconds flat. Yes, ok, we are never going to be rich by taking one on one dives but safety is paramount and, especially so when it comes to children who are scuba diving. So, I have been Scuba Diving for around 20 years now, which means I am obviously a big fan of the sport. For those of you that have never tried scuba diving before, these are what I consider to be the 5 best things about Scuba. 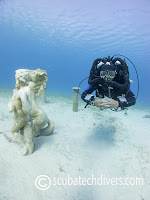 Scuba Diving is as different from the normal everyday life as you can possibly get. We enter a different environment that requires specialised breathing equipment to see things that most people couldn't even dream about. From beautiful coral reefs to ancient historical shipwrecks that are beyond the reach of all but those who dare to don a cylinder and regulators. Fish living in their natural habitat, behaving the way they should when left to their own devices and not cooped up in aquariums. The underwater world is magical and it is ours to explore. Scuba Diving is an extremely sociable sport. 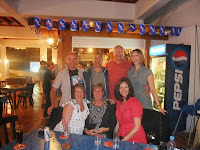 Although it is true that we cannot talk to each other underwater, we divers do like to get together after a day of diving and discuss where we have dived, how deep we went, what wrecks we have seen over a nice plate of Lamb Kleftiko and chips (maybe a little beer too :) ). 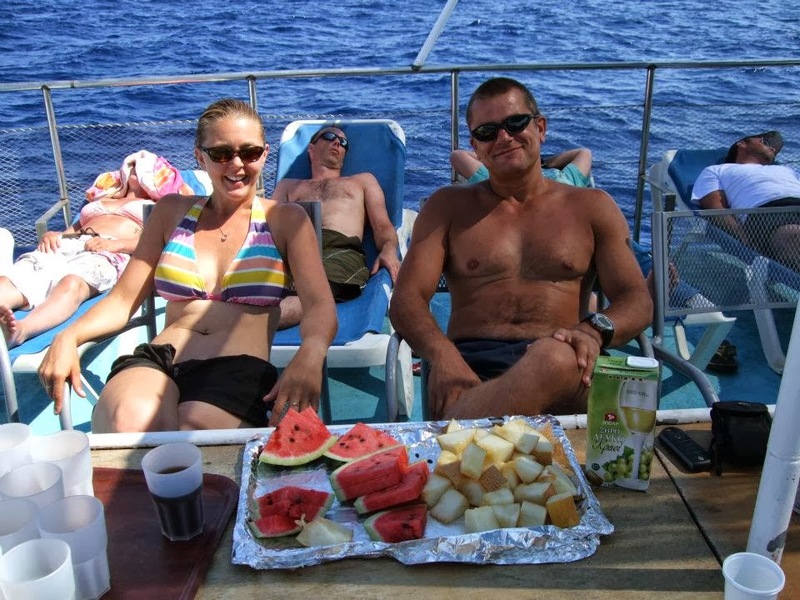 Whether you scuba dive from shore, on a day boat or a liveaboard, you will meet some fantastic people when you scuba dive, each with their own interesting stories to tell. 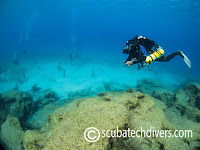 There are not many places in this world where you cannot go scuba diving. In fact, anywhere there is water, you can usually get in. 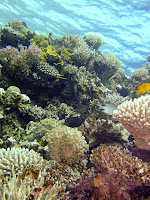 Scuba Diving can take you to some of the most fascinating destinations around the world; from right here in the balmy waters of Cyprus to under the Ice in Norway, diving the shipwrecks of Scapa Flow or Truk Lagoon (Chuuk Lagoon) or the place where it all meets at the equator in the Pacific Ocean, the Galapagos. Scuba Diving is not one of those hobbies where you can do a course and you know everything there is to know about the sport. Even the experts have only just scratched the surface on this sport. There is always something else to learn and another progression to make. 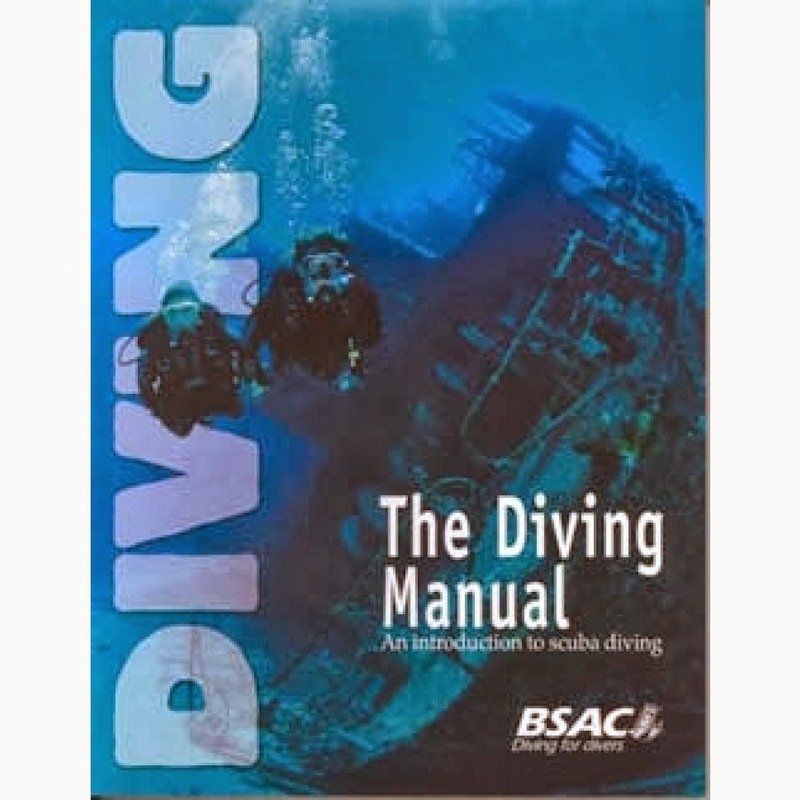 From a beginner diver, you can become an Advanced Diver, then progress to Technical Diving or rebreather diving. You could increase your depth limits to 100metres and you can look into the theoretical side of decompression, gas mixes, pressure effects etc. You can try Scuba Diving from the age of 8 years old and there is no limit to when you stop. Members of my diving club have continued to their 80s. 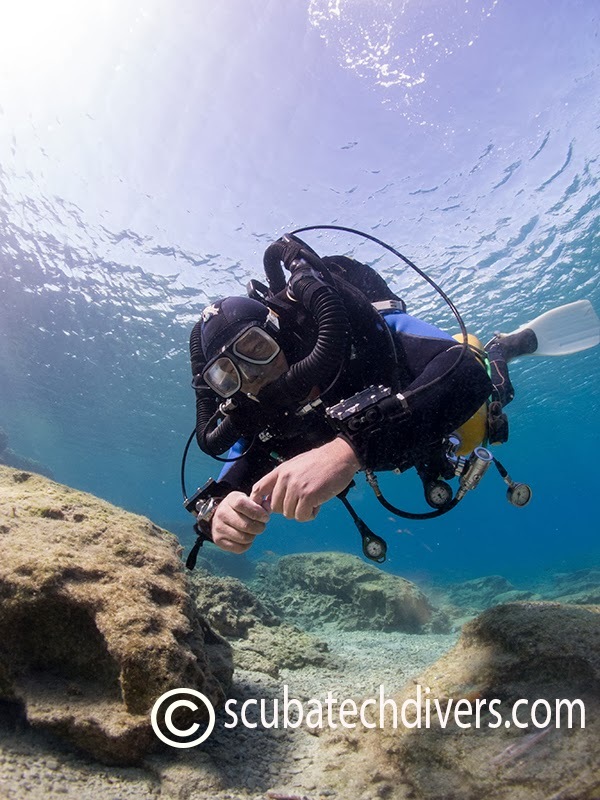 Scuba Diving can also be a family sport with parents and grandparents diving with the kids to make weekends and holidays fun for the whole family. So, those are my 5 best reasons to try Scuba Diving. 20 years ago, I did my try dive in the UK and I have never looked back. Who knew where it would take me? This is a short video from a couple weeks ago. Scuba Divers from Roundhill Sub Aqua Club in Leicester, UK, a BSAC diving branch, came to visit to play on this phenomenal wreck here in Cyprus. 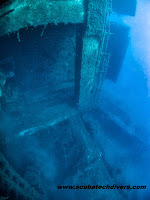 She is voted as one of the top 10 diveable wrecks in the world and she is right here on our doorstep in Cyprus. We are, of course, talking about the amazing wreck of the Zenobia Ferry which sank off the coast of Larnaca back in June 1980. 33 years later, she is starting to look a little bit sorry for herself but considering all that salt water and the number of divers that visit her each year, she is not faring too badly at all. Zenobia sits on the sea bed of the Mediterranean Sea, approximately 1.5km off the coastline of Southern Cyprus in 42m of water with her proud hull reaching all the way up to 18m. 172m long with 104 articulated Trucks with fully loaded trailers on board when she sank, which to this day, have never been salvaged, make this wreck one of the best in the world to dive. 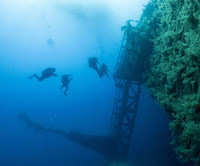 You don't even need to be a scuba diver to take advantage of the wreck, as there are a number of glass bottom boats that go out to the wreck on a daily basis and even snorkelling, you can usually see the top of the wreck (sometimes down to 25-30m) on a day with good visibility. I have been diving the Zenobia now for almost 10 years and still never get bored of her. She has numerous possibilities for penetration dives and even now, I can see things on her that I have not noticed before. For example, a loudspeaker and a door number in the accommodation block. 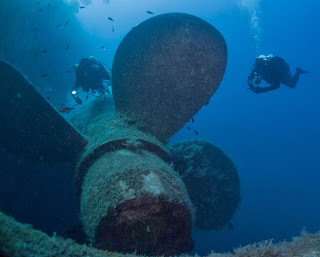 Sometimes, there might be current or maybe the visibility isn't as good as it could be but even on her bad days, the Zenobia is an awesome sight and well worth coming to Cyprus to dive. Most dive centres will ask you to complete a check dive prior to diving the Zenobia though to ensure everything is in place, weights are correct and everything works properly before you make these dives but believe me, it will be well worth the effort when you jump in and she looms up at you to say hello. On the Zenobia Diving days, we usually complete 2 dives of up to 60 minutes, depending on air consumption and no decompression limits. 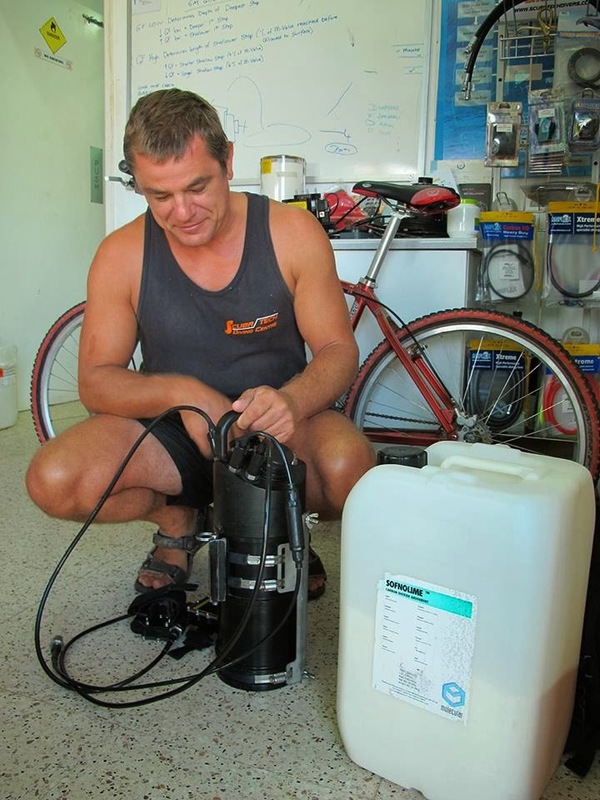 To try to maximise your bottom time, we do offer free nitrox on the Zenobia dives for those qualified to use it so you get the most value for money. If you do not have a nitrox certification, we can provide a combination value package with the Zenobia dives to get you there... you will never look back! 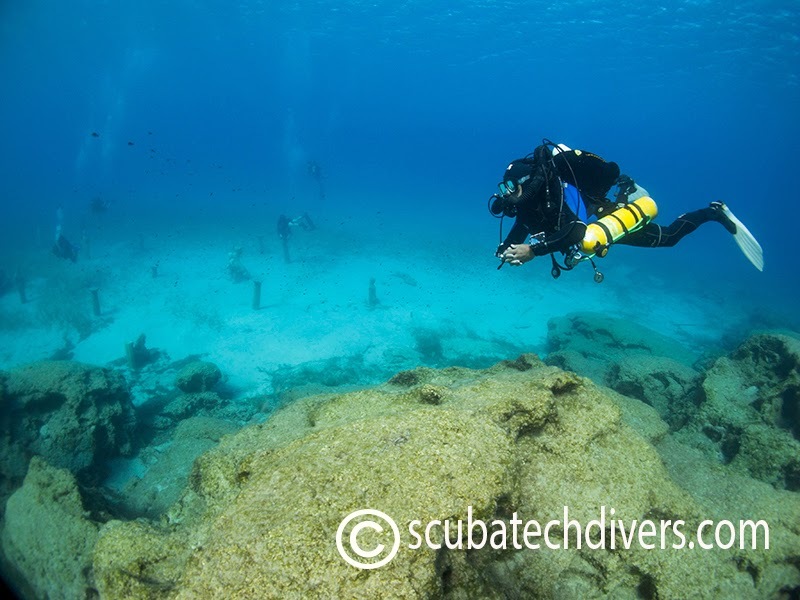 For more information about Diving the Zenobia in Cyprus simply get in touch with us at info@scubatechdivers.com and we will help you organise some of the best wreck dives imaginable. A Whole New World... it's our own Alladin's Cave! 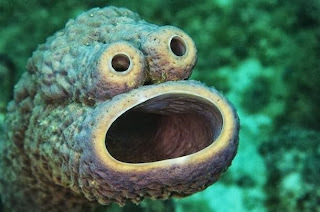 Recently hitting the Internet News has been a story about a couple diving off the coast of Curacao who captured an image of Sesame Street's Cookie Monster underwater. Having seen it, professional photographer, Mauricio Handler quickly snapped this shot. Of course this isn't really the cookie monster. It is 3 sponges grown close enough together to form the illusion of this well loved character but it is just one example of the wonders that we, as Scuba Divers have the opportunity to enjoy. The amazing things we can enjoy do not end there either. 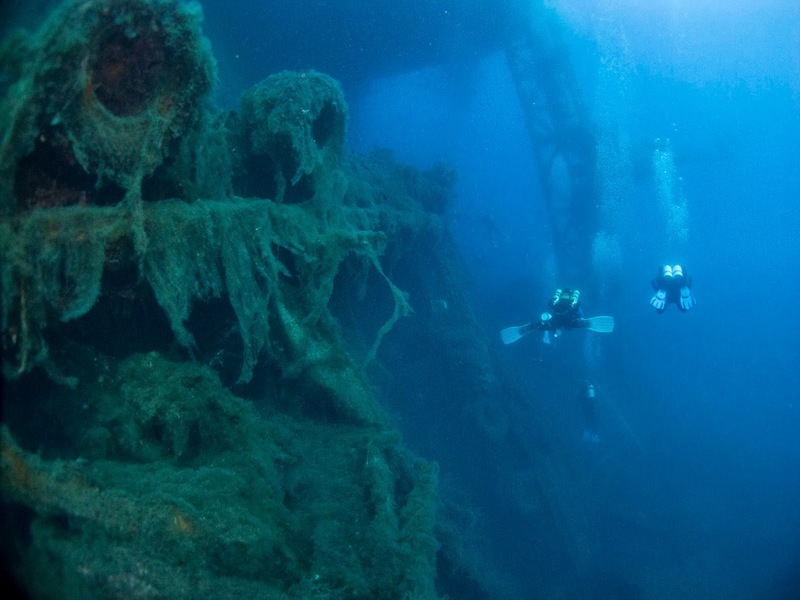 We have ships that, sometimes haven't been seen for centuries that we can go down and visit. 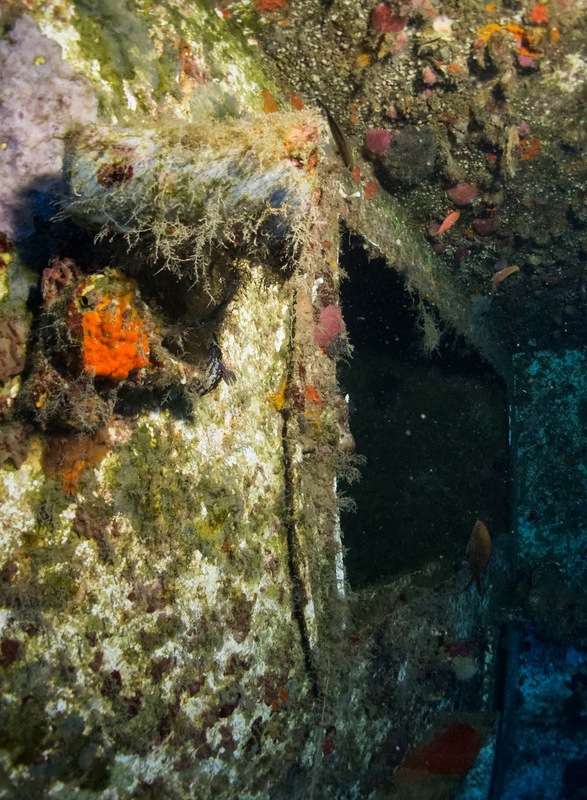 No human will ever walk on these wrecks again but as Scuba Divers, we have the privilege of being able to visit and admire these ancient vessels and hear the stories they have to tell. Add to that, all the fascinating creatures that live beneath the surface of the water and you have yourself an Alladin's cave of life that cannot be rivalled. 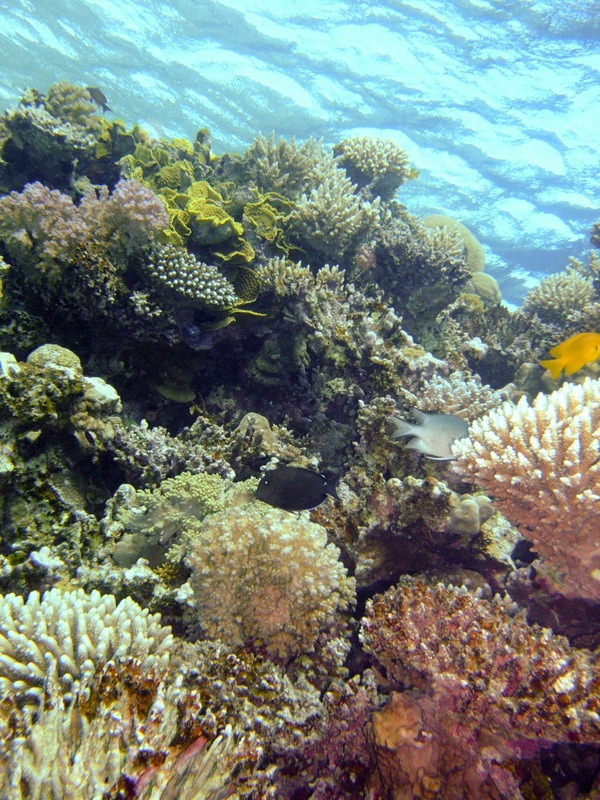 Coral Reef systems are being hailed as the "rainforests of the oceans" due to their vast bio diversity. 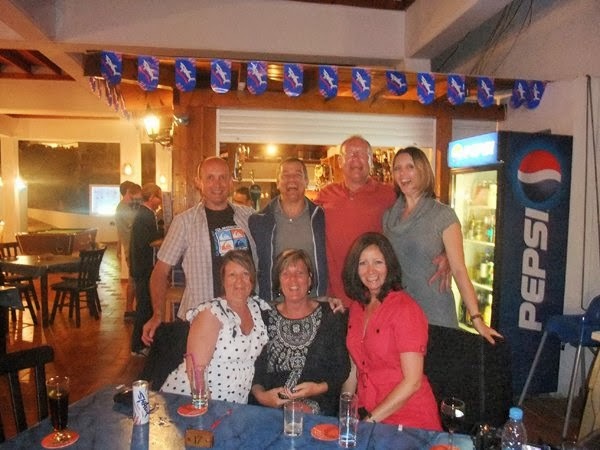 Just here in Cyprus, we see a vast range of different species. A couple months ago, we were inundated with tiny little nudibranchs and today we were swimming with turtles. Who knows, next week it might be whale sharks... although that might be wishful thinking because, let's face it, this is Cyprus and we aren't known for whale shark visits. The point is, there are so many different things to see under the ocean and we are extremely lucky that we are able to visit. Where else would you find such diversity and awe-inspiring sights? It might not be silver and gold, but it should be treasured, admired and protected.